What Are The Main Digital Marketing Channels? Digital marketing channels are specific mediums, usually online, used to reach a target audience and driving traffic to a website. The offline equivalents could include mediums such as newspapers, radio, and TV advertising. In this post, I’ll be introducing you to some of the most popular online marketing channels and giving you some tips on how to get started with them. There are a number of affiliate marketing programs available to use, all with different benefits and drawbacks. As a newcomer to the world of affiliate marketing, it can be very difficult to choose the platform that is right for you and your business. So with that in mind, I’ve been reviewing the different affiliate marketing platforms that I have worked with from both an advertiser and a publisher perspective. Some time ago I moved JCH Web away from US based host iPage to UK based hosting company vidahost.com. Google officially announced on the 30th of October 2013 that its’ Trusted Stores program was being introduced to the UK under the name Google Certified Shops. The Trusted Stores program was launched in USA start of 2012, and moved out of beta in July 2012. 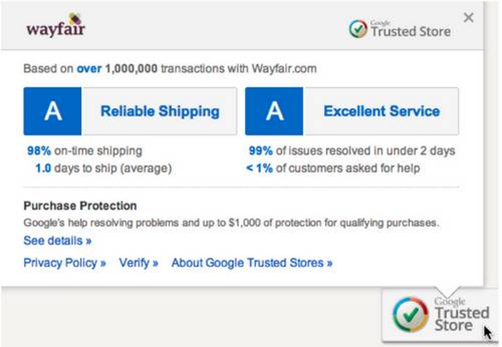 By monitoring merchants Google assigns a score to participating retailers. Scores are based on accurate shipping and customer service. They will then display a badge on the retailers website which shows the retailers score in these areas. For shoppers the program allows them to identify stores that can deliver a great shopping experience, and any customer that agrees to participate in the program are eligible for a purchase protection of up to £1000. By providing a shipment feed and a cancellation feed to Google they will monitor performance against a list of SLAs set in their merchant guidelines. As long as the retailer meet these SLAs a badge will be displayed their site, and also against ther Google Ads indicating that they are a Google Certified Shop. As well as the feeds Google will also take customer details from the order confirmation page. When a customer places an order they will be asked if they wish to participate in the Google Trusted Stores program. 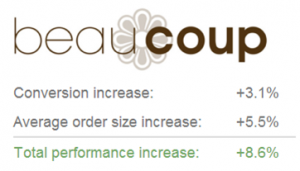 For merchants it can not only improve your conversion rate and order size, but it can also help improve your business practices. The obvious benefit of being part of the Trusted Stores program is the added trust benefit. There are a number of case studies on companies in the USA who have participated in the program. Merchants in the states have seen an average of +4% in conversions but appears to be a larger increase for lesser known, smaller, online-only companies – Case Studies. Certified Shops is completely free, and I’m sure Google will be making a big deal out of this over the coming months so expect it to appear in various places (Ads, Organics, Google Shopping – the possibilities go on!). You can read the official launch post here on the Google UK Google+ page.